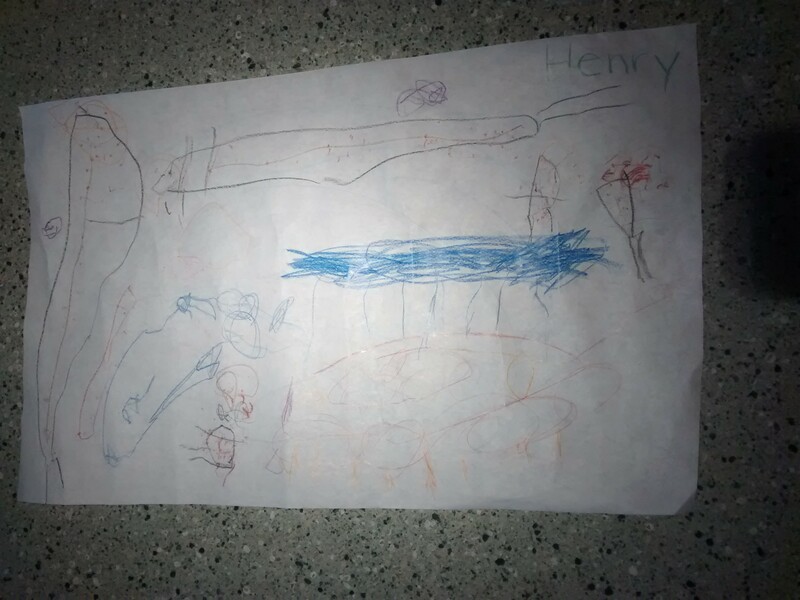 Henry brought home an awesome drawing from school yesterday. I’ll try to describe it accurately. Below are close-ups of the right and left sides. Look at the range of colors! His composition is good, too (if I do say so myself). He did not write his name (obviously). On the right, we have a car in purple and orange – wheels along the bottom, humans visible inside. The blue field above the car is the car’s bed. Standing on the car’s bed is Henry, and next to Henry is mama. Big area defined by black crayon with the brown stripe on the far left is a seal. Across the top (visible on both close-up shots) is another seal. 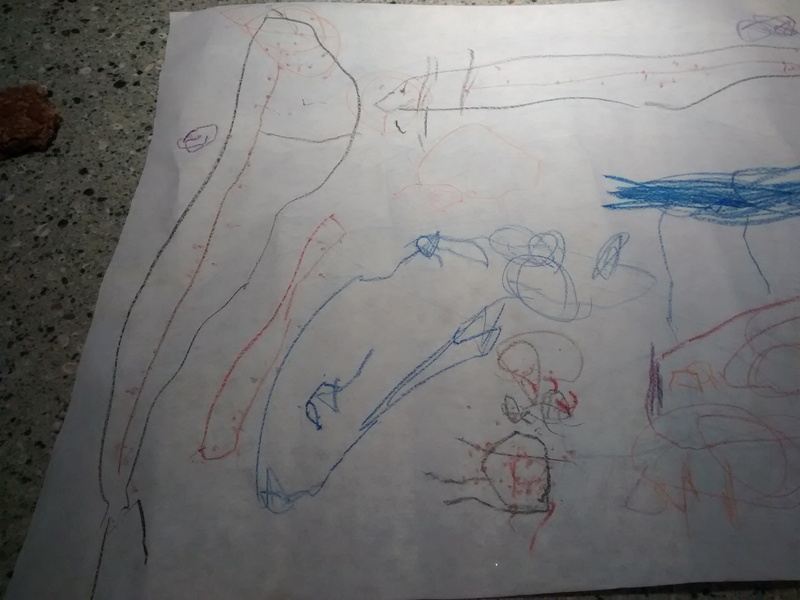 The representations in the middle of this area of paper were not conclusively defined for me. The figure in front of (or behind) the car is a person, but I’m not sure who it is. 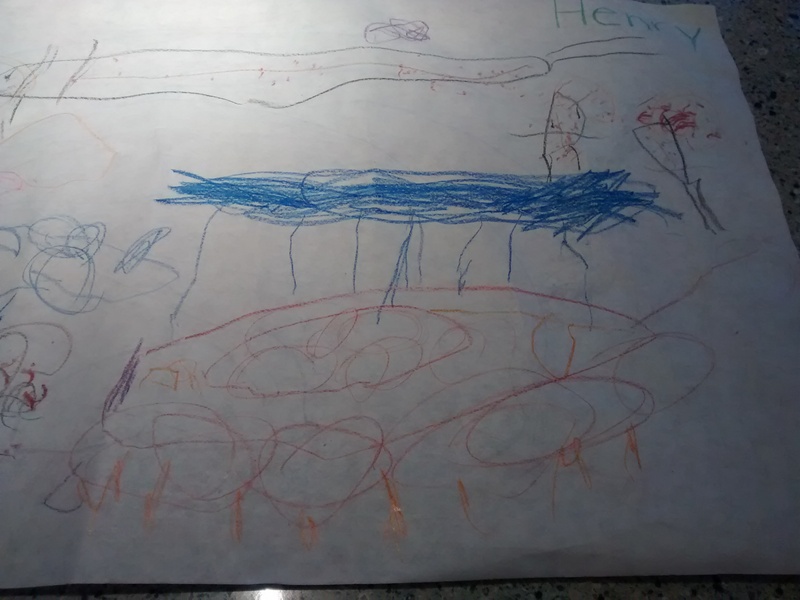 One of Henry’s favorite books is The Day the Crayons Quit, and I feel that this drawing really draws on that work. We borrowed that Crayon book from the library recently. Funny!